How to edit orders/ attendee details? 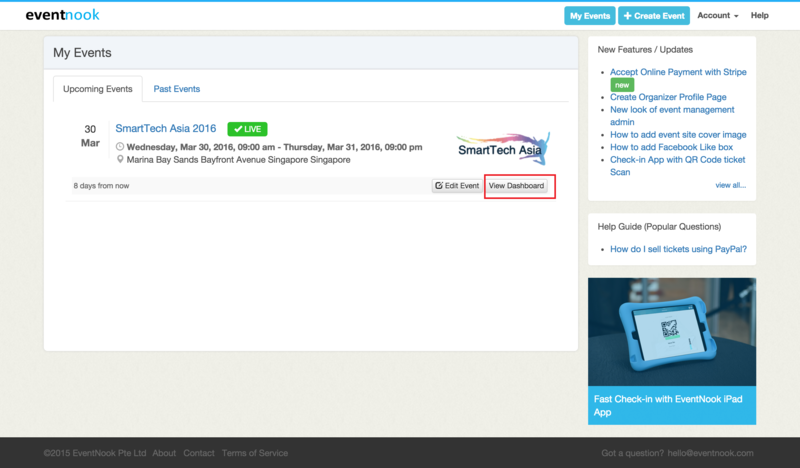 EventNook allows users to edit orders/attendee details from the organisers’ back end. 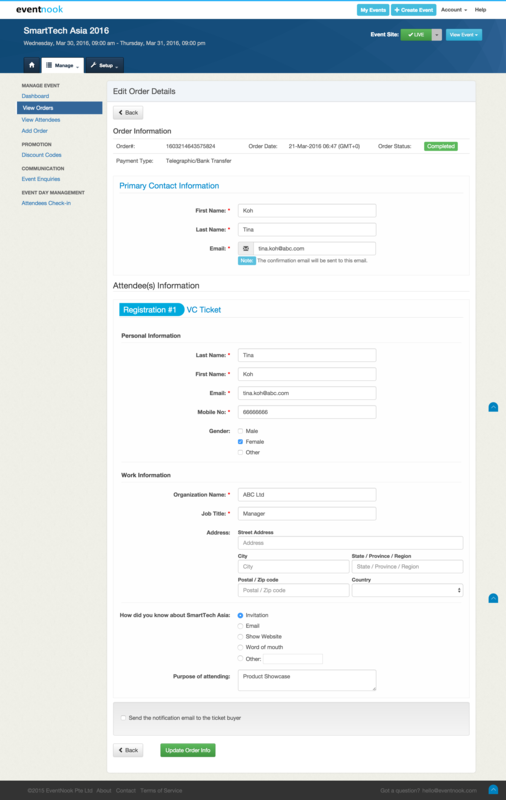 “Edit order Info,” allows you to modify attendee’s order details. 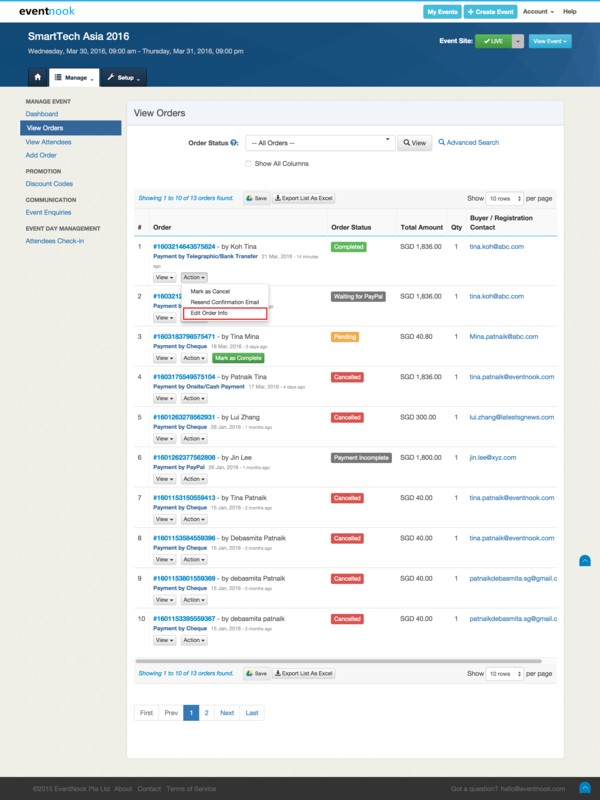 To edit order/attendee use the Actions drop-down menu from your View Orders page. 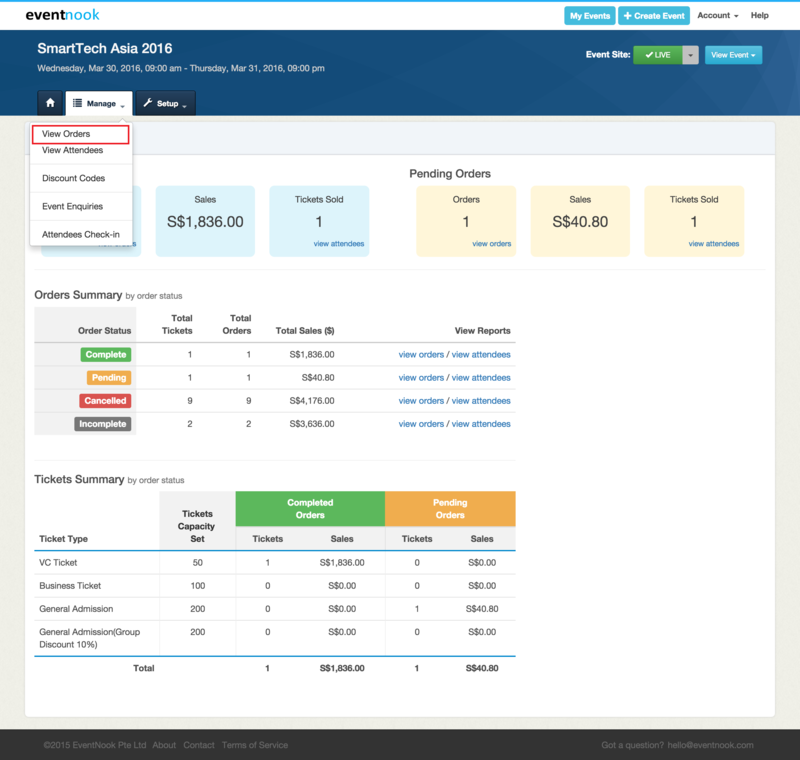 Click View Orders in the Manage menu to get started! 3. On the drop-down menu of “Action” button click “Edit Order Info”. Note: Edit order Info feature is only available in the Pro-Packages.